In any industry that requires spare parts to be available at a moment’s notice, storage can become a big concern, both from a space and cost perspective. Additive manufacturing allows spare parts to be generated quickly, completely from scratch, whenever they are needed, rather than producing large quantities at a time and storing them for future use. Not only will this save money, it’s also incredibly convenient. With traditional manufacturing methods, it’s almost always cheaper to produce parts in large numbers. For large-scale work, this is no problem, but what do you do if customers come to you with a special request for a customised part? With additive manufacturing, this is no problem, as there will be no increased cost for producing one-off parts, making it much easier to justify saying ‘yes’ to these requests. This will provide you with extra scope for fulfilling special requests for customers — a powerful way of building brand loyalty and generating repeat business. 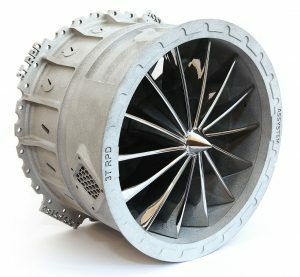 Additive manufacturing originally established its reputation as a prototyping tool, and for good reason, as it allowed quality prototypes to be produced quickly and easily. The expanded range of materials (including a wide range of metals) now available means that it is now possible to generate fully functional prototypes of parts, of the exact same quality as the planned production versions. This can dramatically reduce the time to market for new products, particularly in industries where intensive testing in ‘real world’ conditions is required (aerospace or Formula 1, for example). Virtually all traditional manufacturing methods generate a lot of material waste, which can translate into a significant ongoing cost. Additive manufacturing methods eliminate much of this waste, as parts are created by layering material rather than machining raw material, so there will be no leftover scrap (which is often difficult or impossible to recycle). This often results in tangible long-term savings in terms of both cost and materials. Research into how to further reduce material wastage is ongoing, which has led to significant improvements in materials’ recyclability in recent years. For example, most of the leftover powder after DMLS printing runs can simply be reused in future jobs. Many newer printers even incorporate special features to make this as easy as possible. With traditional manufacturing techniques, it’s often necessary to strike a compromise between the weight of the part and its material strength. This can prove problematic in industries such as aerospace, where parts must be both strong and light. Additive manufacturing means it’s no longer necessary to make this compromise. In many cases, parts can be 3D printed with hollowed-out interiors that would be impossible to achieve with subtractive methods, reducing their weight with minimal effect on their material strength. Forward-thinking companies such as Boeing are already exploring the possibilities offered by this approach. One of the most exciting parts of the additive manufacturing sector is the level of innovation when it comes to the parts being 3D printed. In many sectors, we’re seeing parts being successfully produced that would previously have been considered completely unachievable. The medical world has seen perfect prosthetics created using additive manufacturing techniques, taking full advantage of the range of materials now available that are suitable for surgical use. For example, the technology was recently used to create a facial prosthetic for a cancer patient. Research continues into the ways 3D printed parts could be used to replace damaged bones — something that has huge implications for patients round the world. If you had previously dismissed a part as being impossible to produce, reconsider it against the newest developments in additive manufacturing technology. You may be surprised. We see examples of these hidden benefits every day at RP Platform, as we work closely with our clients to ensure their processes and workflows are fully optimised to take advantage of them. With the whole sector evolving at an increasingly rapid pace, it’s more important than ever to keep an open mind and adopt a flexible approach to ensure additive manufacturing achieves its full potential across a range of industries.